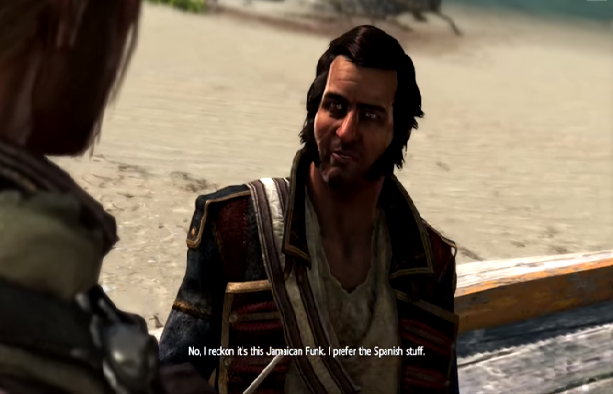 Risen 2 is a likable pirate adventure that shows a good deal of endeavour, though you’ll as likely remember it for a string of crippling technical faults as for its interesting premise. Wizarbox’s console port is disappointingly shabby, as considerable visual and technical foibles scuttle an adventure that’s rich in variety and content. Dark Waters presents a curious story; like the game as a whole, it shows quite a bit of gumption, even if its execution is often questionable. Playing as a nameless hero, your job is to form a pirating party with the aim of preventing Mara, a peeved Titan Goddess with power over a really big Kraken, from exacting absolute destruction on everyone and everything. 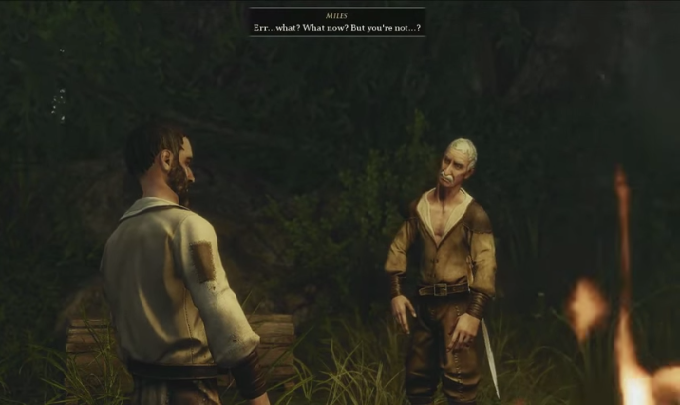 To the game’s credit, there’s plenty of meat to the narrative and lots of characters to have a chin-wag with. The lead protagonist is mostly acceptable, even if he does take a bit of a strange turn halfway through the game, suddenly treating everything as a bit of a joke. Nevertheless, there’s a sense of depth to the world and its scenarios, with populated hamlets and villages lending it a strong RPG appeal. There’s a good deal of fun to be had sniffing out bits of gossip, or picking up a trail in search of lost treasure, missing citizens or fabled creatures. 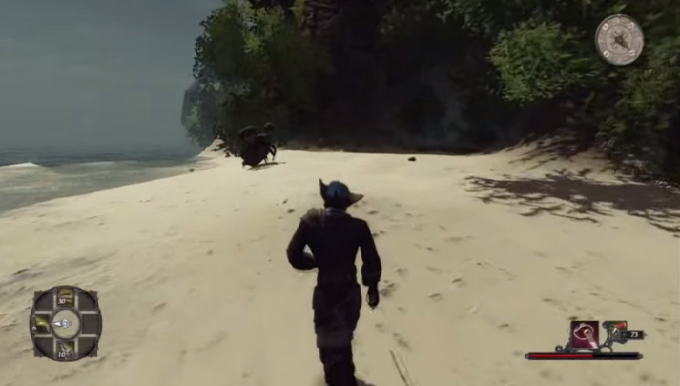 To say Risen 2 is ill at ease on a PS3 though would be an understatement of colossal proportions. 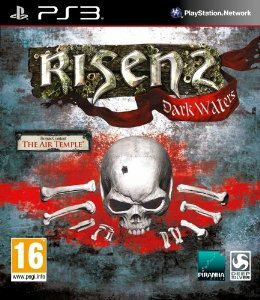 Whilst many may remember the bane of background pop-up in mid-nineties gaming, Risen 2 manages even more distractingly to conjure a load of it in the foreground, lending the game the rather unflattering quality of a kid’s pop-up book at times. Animations for jumping and climbing look like they belong somewhere in-between the PSone and PS2 eras, whilst the characters themselves look low-rent and ungainly. Unfortunately, its troubles don’t stop at the purely cosmetic. 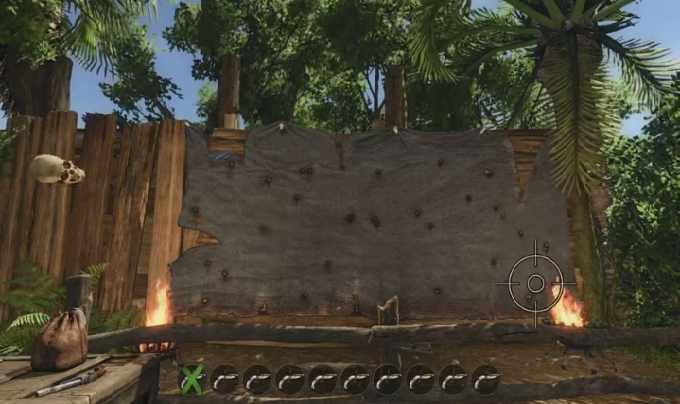 Combat controls are torturously slow, and a jerky frame-rate hamstrings the action. Things get immeasurably worse when the game troubles itself with more than two enemies at once, as the treacly response times are reduced to near-immobility as your attacks are either delivered several seconds late, or not at all. The lack of a dodge function is criminal, and evasion isn’t the easiest of options either, thanks to the comically short periods you can run before the stamina bar gives up on you. It says a lot for Risen 2 then that despite all its issues, it remains an entirely absorbing venture. A generous helping of side-missions and treasure hunts keep things interesting, whilst the main adventure is big enough – and varied enough – to keep you occupied solidly for a good couple of weeks. There’s plenty of swashbuckling action missions, the occasional bit of sneaking, bartering, drinking games (of course) and a couple of neat sequences where you get to go around as a voodoo-possessed character, which is always a good laugh. Whilst it doesn’t offer a vast breadth of replay value (you’re unlikely to replay the game solely for the gentle story divergences that can be influenced through player choices), you’re never short of places to go and things to do. Risen 2 embraces traditional adventure elements such as scavenging, equipping and selling bits and bobs you find on your travels, concocting recipes and blueprints for new weaponry. There’s also a rather hefty inventory screen with a gazillion sub-sections, which is just about useable once you’ve got the hang of it, and plenty of route-plotting and frowning it at maps. It also adds a few nice modern elements too, such as ‘Glory’ points, (attained through bounty hunting and completing mission objectives), which and can be used to upgrade certain traits and perks, such as ‘Silver Tongue’, which gives your hero more leverage in diplomacy, or various stats designed to boost the hero’s aptitude with a sword, guns, or voodoo. 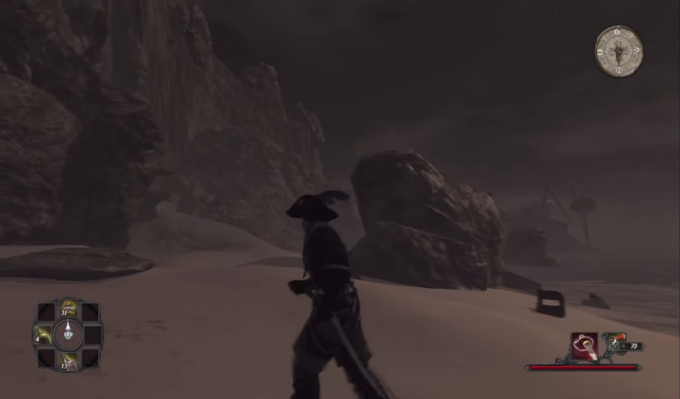 Indeed, it's easy to get lost in Risen 2’s world for hours at a time, and there’s lots of fun to be had, with characters such as danger-magnet pirate Captain Steelbeard, his tough-nut daughter Patty and potty-mouthed gnome Jaffar bringing some vim to proceedings. There’s a pleasant sense of freedom to Risen 2, and rarely a dull moment, even if you’ll infrequently get slaughtered out of the blue by uber-tough enemies lurking in the undergrowth, only to discover the game doesn’t auto-save quite as frequently as would be ideal. Dark Waters is ultimately a good adventure rendered considerably flawed by a checklist of bugs and technical foibles that’s ultimately a little too long to ignore. At least on PlayStation 3, it’s a diminished experience, and could have been a really stellar game. If you’re mad on Fallout or pirates, then it’s still worth a look. Otherwise, exercise a degree of caution.